Catladyland: Cats are Funny: What belongs to the cat? Silly question. What belongs to the cat? Silly question. 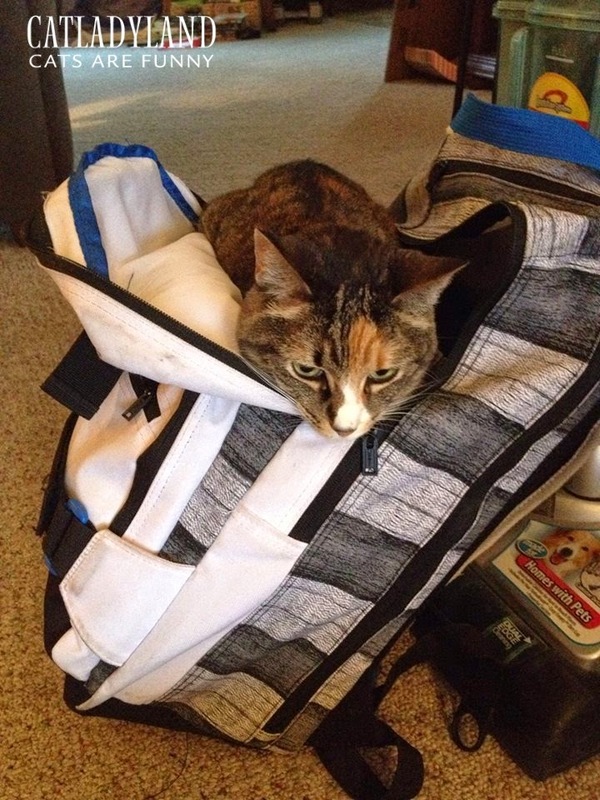 Phoebe's always had a thing about my son's backpack, and if he has to remove her, she fights it. Seriously, she always has a few choice "words" for him. Cat Truth #759: First and foremost, everything belongs to the cat.